Remember Night Trap? What about Sewer Shark? Things are about to get a little nostalgic up in here. Smartphones are most likely the last bastion you'd think of for holdovers from the late '90s and early 2000s like FMV games, right? And yet we've got the early workings of one in the form of Her Story, a new adventure coming to iOS and PC from writer and designer Sam Barlow, whom you may remember from Silent Hill: Shattered Memories, one of the most divisive entries in the venerable Silent Hill series. Her Story could pave the way for an interesting hybrid of adventure title and FMV fantasies. Because when you think about it, the mobile landscape makes for the perfect reboot space for these types of games, especially given motion control, screen real estate, and the potential for cheap video content. Her Story is expected for release in early 2015, though the above bit of footage is all we have to look forward to at the moment. If it finds a decent amount of success, however, it could be that we see an influx of these types of adventures, though with less of a focus on the "lo-fi" aesthetic and more on the YouTube and video content stars of today. It could even become a trend that users could get in on with the low cost of development and exciting proposition of getting your content out into the world in the form of a game. It's too early right now to tell, of course, but the pieces are all in place. 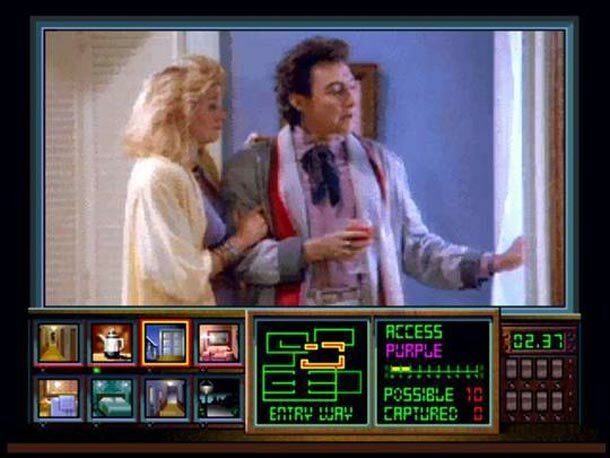 What would be an interesting move is if this game spurred forth a re-release of all the classic FMV games we love to make fun of from back in the days of classic gaming as mentioned above: Night Trap and the ilk. It's difficult enough to play several of those titles right now save for outlets like GOG.com, but tablets are the perfect ecosystem for this type of game. Imagine going through Phantasmagoria on a mobile device, or experiencing a game like Harvester beyond having to use complicated DOS setups or emulators. It could work quite well, but perhaps everything is riding on the success of Her Story. Here's to hoping it achieves what it sets out to and more.